By: Henry Lyatsky, P.Geoph.,P.Geol., Lyatsky Geoscience Research & Consulting Ltd.
continental glaciers that today blanket remote Greenland and Antarctica. This scientific “truth” was drilled into me, a young geology undergrad in Calgary, by esteemed professors in basic courses at the beginning of the 1980s. In the 1970s the media were abuzz with global-cooling scares. Cooling was supposedly a scientific fact. Thankfully, the old fears of an impending new ice age have so far proved unfounded. But now, global warming has replaced the global-cooling craze. This article is not, by any means, a final word. I am neither a climatolo- gist nor a logician. My purpose is to encourage the readers to explore scientific logic, to always be skeptical, to question the methods and the motives, and to always be ready to wonder and be surprised. Natural science is empirical. Empiricism says knowledge is derived from what we can sense or observe. Knowledge is gained by passive observation of natural occurrences or by active, preferably controlled, experiments. Epistemology is the study of human knowledge. It deals with how we know things. Much philosophical ink has been spilled on these subjects over the past several millennia. Too much of that ink flowed uselessly, or it is irrelevant to the discussion at hand. Only a few key points are summarized below. Karl Popper (1950, 1968) was probably the past century’s foremost empirical philosopher. He taught that a legitimate scientific hypoth- esis must be falsifiable, i.e., capable of being disproved by subsequent observations or experiments. If a “theory rules out certain possible occurrences, … it will be falsified if these possible occurrences do in fact occur”. An abstract hypothesis that is not capable of being falsified is not science at all. It is metaphysics – something worthless to science, even damaging, which scientists should avoid like the plague. If one discards falsifiability, then any arbitrary fantasy, postulation or assumption can call itself science. When empirical logical rigor dies, science dies. In Popper’s scheme, where abstract hypotheses are constantly modified, discarded and created anew to account for accumulating facts, science should advance more or less smoothly. In the actual progress of science, however, there are fits and starts. Some new discoveries are more consequential than others. Besides, as Kuhn (1962) noted, scientists need some common intellectual framework in which to interpret data and communicate with one another. These tentative abstract frameworks, or “paradigms”, can exist for a period of time, as pressure builds up from the growing volume of contrary facts. When the pressure gets too much, a shift occurs to a new paradigm, and the cycle of new discovery and testable conceptualization starts again. A fact is something we observe. Our observations are necessarily limited and subjective, but this is not an argument to abandon empiricism. A lack of empiricism leads to relativism and arbitrary postulations. On the contrary, the imperfection of observation is an argument to maximize the gathering of facts and tighten the empirical rigor. Do observed facts represent “reality”? What is a phenomenon? These questions are at least as old as Ancient Greece, going back to Plato’s cave and Heraclitus’ note that “everything changes and nothing remains still” (see also Russell, 1961). All these caveats complicate empirical thinking, but we have no alterna- tive. Empiricism is the only way to keep ourselves disciplined and grounded in “reality”, whatever that is, as we expand our knowledge and avoid pitfalls. Inductive reasoning works from the particular to the general, as it looks for a falsifiable scheme that explains all available relevant facts. This is the empirical way to develop testable hypotheses. For example, an abstract hypothesis may deductively predict that the rocks in a particular locality should be Silurian limestone. If Jurassic sandstone is found instead, the hypothesis is falsified. If Silurian limestone does indeed crop out, the hypothesis is by no means proved correct: it has only passed one particular test and awaits many others. Two major pitfalls can trip up the unwary and the lazy. This is where today’s climate science often goes wrong. In geoscience and climatology alike, hypotheses are too often canonized unskeptically. The meticulous collection of facts is lazily disregarded in favor of grand but premature or idle theorizing and fancy-looking modeling. Arbitrary hypotheses are sometimes even used to insist without evidence on what the facts not are but what they should be. A model is an abstraction, a conceptual representation of some phenomenon. It is neither a truth nor an empirical fact. A model is something we formulate. In natural sciences, it is a mentally contrived system, typically composed of linked elements, designed to represent some aspects of an empirically sensed reality. Parameters are factors used to relate variables to their functions, so parameters can define how the function changes in response to the variables. If enough of a system’s elements and links are known, the variables can be defined or at least constrained. This is the main purpose of scientific modeling. It can be done if a system is sufficiently well determined; i.e., the loose variables do not overwhelm what is known. If the unconstrained variables are too many and the knowns too few, the system is underdetermined and it defies unique solution. An abstract model is only as good as its known parameters, acknowl- edged variables, and assumptions. What do we assume about the system’s elements? And about ways in which they are linked? Dealing with a complex phenomenon such as climate, with its multitude of unknown factors, influences and links, one must be extremely cautious. It is commonly lack of knowledge that makes things deceptively appear simpler than they are. 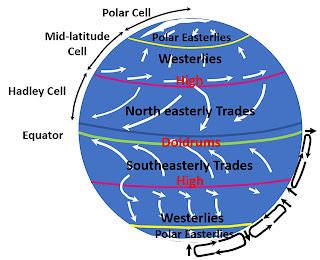 Climate is extremely complex, with a multitude of interconnected influences and feedbacks. A conceptual model with too few interlinked elements reduces uncertainty and it may even enable a unique solution, but it may be too coarse to be useful. Simple models might have their uses, however, at the appropriate levels of the phenomenological hierarchy. For example, for all we know, all atoms of the same isotope are the same. For some purposes, their behavior can thus be modeled with some simplicity. Yet, atomic physics and molecular chemistry do not define the variety of geologic features in the rocks: every basin and every mineral deposit is different from any other. At these, higher levels of the phenomenological hierarchy, many small events – such as the Brownian motion of molecules, for example – average each other out and become irrelevant, while new complexity emerges. The ever-more-rapid advances in computing power enable extremely elaborate and complex models. Unfortunately, modelers sometimes forget the phenomenon they are trying to represent and instead fall in love with the computer-gener-ated abstractions. In the absence of sufficient factual (i.e. observational) constraints, model complexity must never become a self-purpose. Mathematics is abstract. What is three? A number is an abstract means to count observed occurrences, but it is not these occurrences themselves (as in “three fingers”). Complex mathematics, by itself, does not make a model true. It is a means to an end, not an end in itself. Without adequate factual constraints or realistic parameterization, too much math simply piles one abstraction on top of another. As with any abstract scientific scheme or hypothesis, be it quantitative or qualitative, a model is empirically tested by its falsifiability. Do the observed facts accord with the model’s predictions? The manner in which the term “model” is commonly misused in tectonics is highly misleading. In this misusage, what is called a model is merely a genetic tectonic scenario intended to account for some rock configuration. Strictly speaking, these are not formal models, just loose and often speculative hypotheses or even fantasies. If they are not falsifi- able, they should not be proposed. In climatology, unknown variables are legion. It is a common mistake to take a climate model too seriously, even more so to canonize it. An arbitrarily chosen model becomes a false and misleading paradigm, leading scientists astray or diverting them to spend their time fighting to debunk it. Science has been “settled” before, and not just for global cooling. In the 1890s, for example, some very prominent physicists thought that nothing much fundamentally new remained to be discovered in their science: classical mechanics and electromagnetics covered the main bases, and future research would be a matter of elaboration. However, in 1895 Wilhelm Röntgen discovered X-rays, and in 1905 came Einstein. Science is never settled. There is no last word. A good scientist is always a skeptic, never a denier. Personally, I am agnostic about anthropo- genic global warming. I simply don’t know. Given the current state of knowledge, nobody knows – and I am happy to admit it. Clearly, though, the “official” global-warming dogma is bogus. In contrast to the current debates about climate change, the science was much more compelling in identifying the causes of the depletion of the atmosphere’s ozone layer, which vitally protects us from harmful extraterrestrial radiation. A particular type of man-made molecule was found to be at fault, with a particular sort of chemical reaction. The scientific case was empirically clear and relatively simple, and the consensus was genuine. The international Montreal Protocol in 1987 rightly mandated a world-wide phase-out of the culprit chemicals. Climate has been changing the entire time there’s been planet Earth, getting colder and warmer by turns. Identification of glacial deposits and facies in ancient sedimentary rocks makes this clear, as do studies of paleo-faunas and paleo-floras. Glacial deposits and landforms are spectacular around Calgary, and the magnificent moraines in Wisconsin are the reason that state’s name is attached to the last period of major glaciation. What drove past climate changes? Perhaps fluctuations of solar output, or natural changes in the composition and particle load of the atmosphere, or variations in the Earth’s orbit. It has all been going on forever. A famous Swedish scientist, Svante Arrhenius, in 1896 took a stab at explaining the ice ages in the geologic past. Based on the contempo-rary knowledge of chemistry and physics, he suggested that an increase of atmospheric CO2 should lead to an increase in the world’s tempera- ture. Since human industrial activity produces CO2 and other gases that supposedly warm the planet through a “greenhouse effect”, modern anti-capitalism activists conclude that the most advanced industrial countries are the culprits behind the man-made global warming. Arrhenius’ scientific idea is a supposition that should be falsifiable, or testable based on observed facts. A tendency or a theoretical potenti- ality may well deserve serious consideration – but they are not facts. So far, the factual record is mixed. Perhaps it will take a lot longer before we reliably know what is actually happening with the climate. Predictions such as Arrhenius’ are hypotheses. Only observations are facts. Climate models predicting global temperatures a century ahead are too dependent on assumptions to be reliable. They might as well be 10,000-year predictions. One only needs to follow the news to know the official global-warming dogma stands falsified. No global warming has been measured for the last two decades. The infamous “hockey-stick graph” in the 1990s predicted that we are about to imminently enter a new period of rapidly accelerated global warming. So far at least, nothing like this has occurred. But a canonized model must be upheld. We are now told that the “missing” heat is hiding in the world’s oceans, soon to come out with a vengeance. Maybe it is, but in the absence of hard evidence this is not science but merely Popper’s metaphysics. The Arctic and Antarctic ice was supposed to melt away fast. The anomaly of the 2015-2016 strong El Niño aside, the recent years saw a growth of polar ice, preceded by a reduction since the 1990s. And the Arctic and Antarctic ice does not shrink and grow in tandem. Are the re-grown ice caps here to stay? Will they keep growing? Will they shrink again? It is much too soon to tell. At any rate, our modern factual knowledge of the climate is too limited to permit long-term predictions. A false claim by the alarmists is that 97% of climate scientists believe global warming to be man-made and urgent. The roots of this claim vary, but reportedly, they tend to involve exaggerating the strength of stated convictions and the extent of reported individuals’ alarm. The poll sample is sometimes small. Ask if there is global warming and if any of it is man-made, and most reasonable people’s answers (my own included) would be at least non-negative. However, that is no evidence of a consensus for urgency. On the other extreme, to deny man-made drivers of climate change completely, as some activists do, is as problematic as it is to postulate them without question. These activists deserve full credit for standing up to the warmist dogma, but their own absolutism itself should invite skepticism. A scientist is not a scientist if he is not a healthy skeptic. What is going on with the climate? The point is, we don’t know. How many of us had a college course in scientific logic? In all my programs, I never did. And if you are not taught, how would you know? Perhaps the professors themselves don’t know logic enough to teach. Or they don’t care, or couldn’t be bothered. Nor is history of ideas taught much. Ignorance, unless it is checked, propagates generation to generation. Much of this has to do with the much-bemoaned (e.g., Bloom, 1987) loss since the 1960s of the classical education. As access to college education has expanded in the past decades, the quality has declined. “More means worse”, as the writer Kingsley Amis used to say. That’s why a B.Sc. degree is no longer quite enough to ensure a strong career, and an M.Sc. could be advisable to improve one’s competitive advantage. Removal of logical rigor leads to relativism. Everything is deemed subjective (Bloom, 1987; Hughes, 1993). Truth is relative: each person has his own, to be upheld without question in the interest of diversity and tolerance. One idea or theory or value system or even behavior is as good as any other – and who do you think you are to judge? Apart from the obvious (un)ethical repercussions in the social sphere, such lazy and deconstructive thinking destroys empiricism, and with it the integrity of science. In 1633, the great Galileo famously saved himself from the Inquisition by formally recanting his scientific views. He got away with merely house arrest. The modern system of administering the academia took its essential form in the 1940s. Some of the inspiration is commonly attributed to Vannevar Bush, a prominent American inventor, weapons designer, entrepreneur and public administrator. The intent was to give scholars freedom to work and create. The academia is officially independent, to shield it from the whims of fluctuating public passions and political pressures. Outsiders have limited scope to interfere. Tenured professors are essentially safe from layoffs. The academics decide for themselves who will be hired into their midst as new faculty. They review each other’s funding applications and publication drafts, and build up each other’s citation counts by mutually quoting each other’s work in their own papers. In such an opaque and self-enclosed system, all members of the academic cartel have a common interest to maximize “funding” (i.e. their intake of taxpayers’ money) while avoiding external scrutiny. To gain career advancement, each cartel member vitally depends on every other for favorable reviews and citations. In a tightly closed shop, this is a recipe for self-organizing conformism. The academia’s incestuous self-rule (“academic independence”) is organized around mutual peer review of each other’s work. Collective self-accountability, however, is no accountability at all. We have heard plenty about all this after Climategate. In such a closed system, open debate, which is the lifeblood of scientific advance, is choked off. Healthy skeptics of the official climate-change dogma are sometimes dismissed pejoratively as “deniers”, which poisonously and falsely hints at an analogy with the denial of the Holocaust. Insistence on mutual peer review often leads to censorship or self-censorship. Inconvenient dissenters are easy to squeeze out, by killing their grant applications and publication drafts. Evil be to him who evil thinks. If something undesirable does make it into print, it can simply go un-quoted and ignored. 1996) suggest that the oceanic Juan de Fuca plate offshore seems to be deforming internally and no longer subducting. Empirically, the Cascadia subduction zones lacks some of the main features from which subduction zones are normally identified. There is no bathymetric trench(! ), the supposed arc volcanism is weak and scattered, earthquake seismicity does not suggest an east-west lithospheric stress, and regional patterns of ongoing coastal subsidence and uplift do not fit a simple pattern expected of subduction. The conventionally assumed scheme with ongoing, rigid-plate West Coast subduction is obviously falsified. This suggests that the earthquake risk in the Vancouver-Seattle area, while clearly very substan- tial, might be exaggerated. No active subduction should mean no impending mega-thrust quake. The scientific work discussing these complications has been published in major peer-reviewed scientific journals and high-end book lines. However, one finds few if any references to these studies in the literature on the West Coast tectonics – not even to rebut! Each particular academic failing may have its own specific, even innocent, causes and explanations, and cheap individual finger-pointing is usually not warranted. The overall pattern, though, is clear: scientific work that does not fit the “party line” of the moment can have a hard time getting published or cited. Nonsense. There is no “one hand, other hand” in science. A true scholar does not get to have it both ways. Socrates drank hemlock – rendering himself permanently ineffective – to maintain his intellectual integrity. Climategate was not a fluke. The self-serving modern academia can no longer be regarded as a credible source of climate science. In today’s “post-truth” intellectual and political environment, where mere shrill- ness on all sides too often drowns out thought and replaces intellectual rigor, openness is needed more than ever. If sunlight is the best of disinfectants, it is time to throw the windows wide open. It is not just in the Leap Manifesto. Lomborg (2001) called it “the Litany”. The modern, populous, industrial civilization, it is sometimes said in various words, is an unsustainable parasite load on the planet, and to stop it strong government action is only righteous. Democracy and freedom, say some people on both the far left and the far right, are a Western capitalist sham. Citizens are mere automatons and puppets, as a cabal of big corporations and banks controls the media and brainwashes common people into more consumption than virtue and environmental responsibility would require. 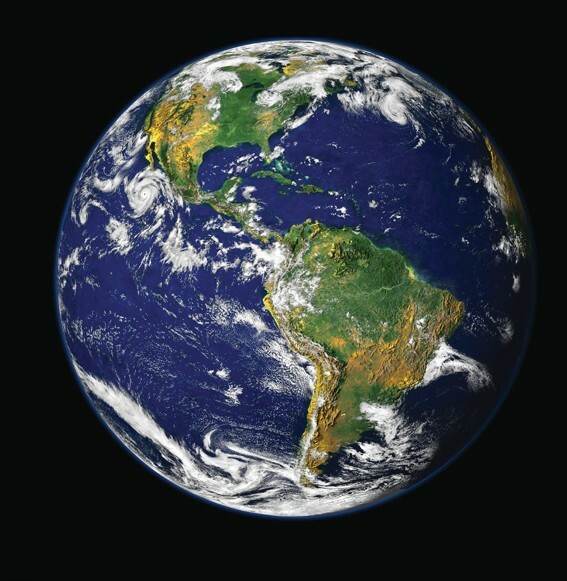 The planet, we are told, is facing a man-made environmental catastrophe, which will soon wipe out countless species and make our current way of life impossible. What sort of catastrophe, exactly, is not important: before global warming, for example, there were the Club of Rome’s neo-Malthusian, now empirically discredited “limits to growth”. The urgency of the supposed impending catastrophe makes it impera- tive for the government to take things firmly in hand, redirect or curtail the industrial and business activity, impose punitive taxation, and reduce our living standards and rates of consumption. Individual free choice would be severely restricted. Some virtuous form of communalism would be imposed instead. The age of capitalism, free trade and “neo-liberalism” would be brought to an end. Because opposition to this radical agenda objectively contributes to imminent planetary destruction, we are told, such opposition must not be allowed to stand in the way of vital progress. There is no time to waste! Global-warming skeptics, we have been told even by some very prominent public figures, belong in jail, or at the very least such skepti- cism should be made as socially unacceptable as overt racism. This whole brave new world of post-capitalist environmental justice would presumably be directed by correctly illuminated and selfless persons with necessary powers and a grave responsibility to save the planet. These philosopher-kings would presumably resemble the activists who propose such solutions. The superficially seductive idea of a rationally organized and virtuous society, run in the name of “the people” but actually from the top down by illuminati, is at least as old as Plato’s “Republic”. Many liberal scholars, not least Popper (1950), have denounced such schemes as a call for tyranny. No, this is not at all the first time in history. The Marxists’ previous attempt to do something of this nature littered Eurasia with 100 million corpses and failed in squalor. This comment from Europe’s former climate commissioner, Connie Hedegaard, received its own share of harsh rebukes. Perhaps so, but this is a debate of an entirely separate nature, for which dubious science must not be used as a cover. With previous hints of approval from the Barack Obama administration, some American state-level prosecutors have been investigating ways to prosecute oil companies, think tanks and assorted global-warming “deniers” under the Racketeer Influenced and Corrupt Organizations Act, whose initial intent was to stop organized crime. In the 1970s, would they have prosecuted skeptics of global cooling? On the heels of the 20th century, this is chilling. Remembering the totali- tarian perversions in National Socialist (Nazi) Germany and Communist Russia and China, the radical socio-economic schemes advanced by many climate alarmists today are nothing new. Benito Mussolini, an ex-socialist who implemented one such scheme almost a century ago, said it memorably:. Acharya, H., 1992. Comparison of seismicity parameters in different subduction zones and its applications for the Cascadia subduction zone; Journal of Geophysical Research, v. 97, p. 8831-8842. Bloom, A., 1987. The Closing of the American Mind; Simon and Schuster. Hughes, R., 1993. Culture of Complaint; Oxford University Press. Kuhn, T.S., 1962. The Structure of Scientific Revolutions; University of Chicago Press. Lomborg, B., 2001. The Skeptical Environmentalist; Cambridge University Press. Lyatsky, H.V., 1996. Continental-Crust Structures on the Continental Margin of Western North America; Springer-Verlag. McCrumb, D.R., Galster, R.W., West, D.O., Crosson, R.S., Ludwin, R.S., Hancock, W.E., and Mann, L.V., 1989. Tectonics, seismicity and engineering geology in Washington; in: R.W. Galster (ed. ), Engineering Geology in Washington, v. I; Washington Division of Geology and Earth Resources, Bulletin 78, p. 97-120. Popper, K.R., 1950. The Open Society and Its Enemies (2nd edition); Princeton University Press. Popper, K.R., 1968. The Logic of Scientific Discovery (2nd English edition); Routledge. Russell, B., 1961. History of Western Philosophy (new edition); George Allen & Unwin. Henry Lyatsky is a Calgary-based consultant who has worked in oil and mineral exploration around North America and overseas. He is the first or sole author of three books (Springer-Verlag) and two atlases (Alberta Geological Survey) on the regional geology and geophysics of western Canada. Read more in the mid-April RECORDER – FOCUS: Greenhouse Gas/Environmental Geoscience. As we all know, climate has been changing for billions of years. Experts says that what's particular with current period of global warming is the unprecedented speed of change, that experts want to attach to human activity . Would be good if Dr Henry Lyatsky could comment on this . "Whomsoever controls the volume of money in any country is absolute master of all industry and commerce and when you realize that the entire system is very easily controlled, one way or another, by a few powerful men at the top, you will not have to be told how periods of inflation and depression originate." James Garfield (1831-1881), 20th President of the United States, serving from March 4, 11881 until his assassination later that year. Natural Gas - Bridge Fuel or Fuel of the Future? Consider Royal Dutch Shell Plc’s recent $70 billion acquisition of BG Group Plc — clearly a huge bet that natural gas will prove to be its cash cow of the future. The petroleum industry’s move toward gas is hardly new — the hydraulic fracturing shale revolution is in its second decade, after all. Still, Shell’s move is an emphatic confirmation that some among the Big Oil family firmly believe gas will play a growing role in meeting the energy demand of emerging countries such as China and India that are trying to move away from dirtier coal.